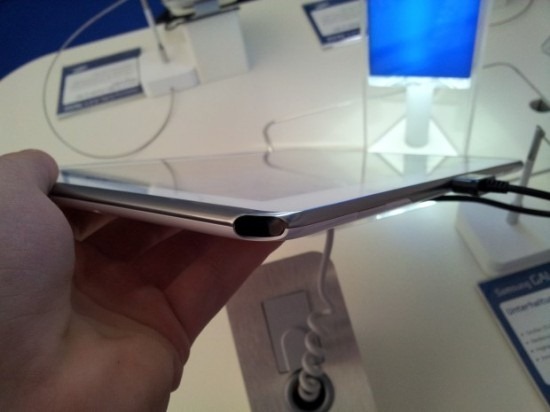 One of the most surprising things about the Galaxy Note 10.1's appearance at MWC was not that it included Samsung's magical S-Pen peripheral, but the fact that the device lacked a slot to store the advanced stylus. Those familiar with the original Galaxy Note will remember that it features a convenient slot to house the S-Pen, ensuring that the stylus would always stick with the device, thereby encouraging users to, well, use it. 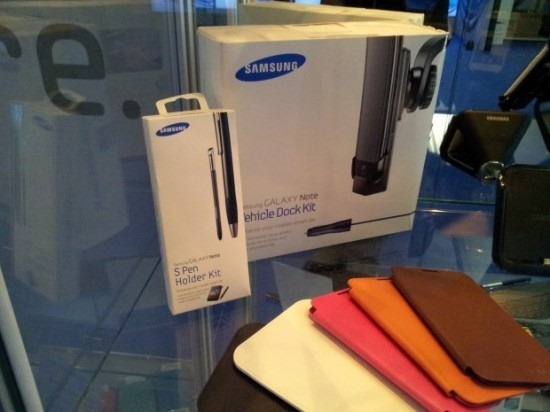 At a recent Samsung event, it was discovered that Sammy has retooled the Galaxy Note 10.1 to not only include a quad-core processor (which we already knew about) but also to include a place for the S-Pen to live. To allow the Note 10.1 to accommodate the S-Pen, Sammy had to slim down the stylus, but (as indicated in the photo above), the manufacturer will be offering a "holder kit" to bring the pen up to a more sensible size. There's no word on pricing or availability just yet, but we'll keep you up to date on all the important details as they emerge.